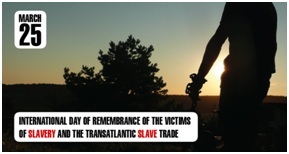 The United Nations’ (UN) International Day of Remembrance of the Victims of Slavery and the Transatlantic Slave Trade is on March 25 each year. It honors the lives of those who died as a result of slavery or experienced the horrors of the transatlantic slave trade. Redevelopment and renovation have always helped in encompassing an image that elaborates new creativity and innovation. The Indian Railway has been keen on welcoming changes and revamping the railway stations that will be made feasible for the passengers. The Indian Railways sights to convert stations into world-class ‘airport-like’ transit hubs! The Railway Ministry has decided to redevelop 90 railway stations into world-class transit hubs. Indian Space Research Organisation (ISRO) has said the launch of India’s second lunar mission ‘Chandrayaan-2’ has been postponed to October. The decision was taken after experts suggested running some tests. The launch, which was originally scheduled for April 23, will be ISRO’s first attempt to launch a rover on the south pole of the Moon. President Ram Nath Kovind has stressed on modern development of Varanasi with its religious souls and traditional values. He was addressing a function after laying the foundation stone of five road projects of the National Highways Authority of India (NHAI) and distributing appointment letters to the candidates selected under Skill Development department mission. The Unique Identification Authority of India (UIDAI) is all set to make face authentication available alongside iris or fingerprint scan as means of verifying Aadhaar users from July 1, 2018. The UIDAI, which is in-charge of the 12-digit identifier Aadhaar, in January had announced that it will introduce face authentication feature to help those who run into problems in biometric authentication due to old age, hard work or worn-out fingerprints. 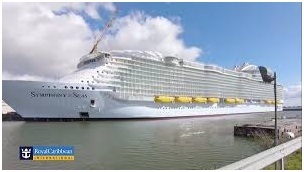 The world’s biggest cruise-liner, Symphony of the Seas, has left the shipyard of Saint-Nazaire in France to embark on its maiden voyage in the Mediterranean. French shipbuilder STX handed over to U.S. giant Royal Caribbean International. The ship, which weighs 228,000 tonnes, is 362 metres long just 20 metres shy of the length of the Empire State Building. It is marginally bigger than its sister ship, the Harmony of the Seas, which STX France delivered to Royal Caribbean in 2016. The world’s longest sandstone cave named Krem Puri was discovered near Laitsohum village in Mawsynram area in East Khasi Hills district of Meghalaya. The cave is 24,583 metres (24.5 km) in length and is known for its complex cave systems hidden under its undulating hills. It was discovered in 2016 but its actual length was found during expedition to measure and map it by Meghalaya Adventurers’ Association (MAA). The Assam government started construction of one lakh toilets today across the state under the Swachh Bharat Mission. The toilets will be completed in 10 days. Chief Minister Sarbananda Sonowal and the PHE Minister, Rhino Daimary attended the central programme at Morigaon district. 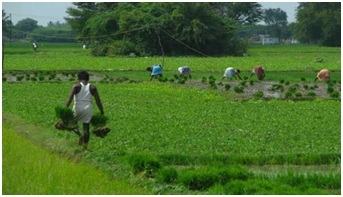 The Assam government has planned to make the state ODF within this year. Our Correspondent reports that 5 districts have already been declared free from open defecation. In Assam, the rhino census at the world heritage site Kaziranga National Park began this morning. Official sources said the census will conclude tomorrow. The result of the survey will be known on the 28th of this month. Nearly 350 enumerators, including senior Forest officials and wildlife experts, have been engaged in the exercise. The entire park has been divided into 74 compartments. As per the last census, 2401 rhinos were found at the Kaziranga National Park conducted in 2015. Private sector lender HDFC Bank signed an agreement with the Government e-Marketplace (GeM) under which the bank will facilitate a host of services to the public procurement portal for Central and state government organizations. The MoU is significant as Government e-marketplace will bring transparency and efficiency in the procurement process with assured and timely payment to the sellers, HDFC Bank said in a statement. GeM provides an end-to-end online marketplace for central and state government ministries or departments for procurement of common use goods /services in a transparent and efficient manner. MD & CEO Aditya Puri. In a written reply to a question in the Lok Sabha today, Minister of State for Finance Shiv Pratap Shukla said, the government fixes agriculture credit disbursement targets for the banking sector every year and banks have consistently surpassed these targets. The aim of the summit was to harness the potential of maize, technological innovations, promoting producer aggregation. The India and China Economic Group meeting is currently underway in New Delhi. Commerce and Industry Minister Suresh Prabhu and his Chinese counterpart Zhong Shan and senior officials of both countries are deliberating upon ways to boost trade and reduce trade deficit. The meeting assumes significance as India has time and again raised the issue of heavy trade imbalance with China and sought steps to facilitate Indian exports in areas including pharmaceutical and agricultural products and information technology services. Investment related issues are also likely to come up for discussion besides market access matters and other non-trade barriers. 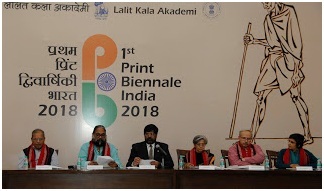 The country’s National Academy of Art, the Lalit Kala Akademi hosted the first-ever International Print Biennale in the countrywith a record number of 17 countries taking part in it. The first-ever International Exhibition of Graphic Prints ‘Print Biennale India 2018’opened, at the Rabindra Bhavan Galleries of the Lalit Kala Akademi in New Delhi. The eminent Artist-Printmaker, Shakti Barman was the Chief Guest. 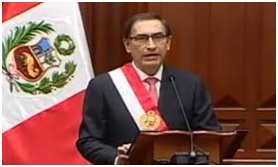 Martin Vizcarra has been sworn in as the country’s new president of Peru. Before the appointment, he was Peru’s first vice president and ambassador to Canada. He has replaced Pedro Pablo Kuczynski who has resigned from the post recently. The Government of India has decided to nominate Prof. J S Rajput, former Director NCERT, as India’s representative to the Executive Board (EXB) of UNESCO. The EXB has a four-year term of office and 58 seats. The executive board is one of the constitutional organs of UNESCO and is elected by the General Conference. The next meeting (Session204) of Executive Board of UNESCO is to be held in Paris, France in April 2018. The Sardar Vallabhbhai Patel International Airport in Ahmadabad has received the award for ‘Most Improved Airport’ in the Asia-Pacific region by the Airports Council International (ACI). “This is the first international award, so you can understand…we are growing at a great speed and this is a big responsibility for which we have to continually improve,” airport Director Manoj Gangal said. 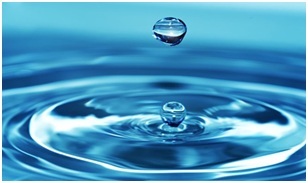 The Union Minister of State for Water Resources Arjun Ram Megwal presented the award to Chhattisgarh Water Resources Department Secretary Sonmani Bora. 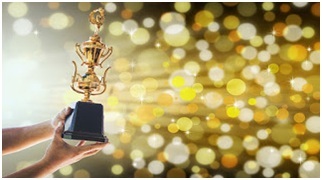 The Award is presented every year by the globally renowned magazine ‘Water Digest’-which focuses mainly on water resources. 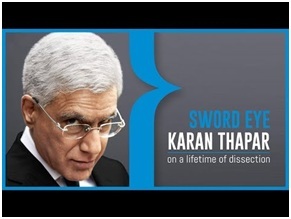 Former Prime Minister Manmohan Singh presented the G.K. Reddy Memorial National Award for journalism to senior journalist and television presenter Karan Thapar. South Asian Cinema Foundation (SACF), a London based organisation has received the Frederick Pincott Award for 2017 from the Indian High Commissioner, Y K Sinha for promoting Hindi cinema in Britain for the last 18 years. The SACF has been doing commendable work for nearly two decades to promote Hindi and regional Indian cinema in the UK. 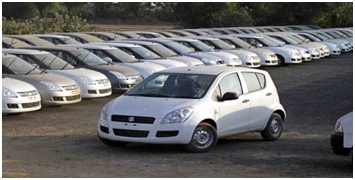 India has overtaken Germany to become the fourth largest automobile market in the world, According to the latest global data. Automobile sales, including passenger and commercial vehicles, in Asia’s third-largest economy, grew 9.5%. It is the fastest among major global markets, last year to more than 4 million units, outpacing Germany’s 3.8-million vehicle sales, which rose by a modest 2.8% in the same period. 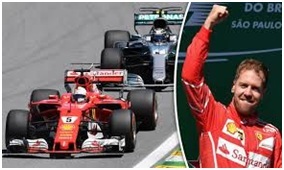 Sebastian Vettel (Ferrari) won a dramatic Australian Grand Prix after leapfrogging Lewis Hamilton (Mercedes) during a safety car period. Kimi Raikkonen of Ferrari was in the third position. Sebastian Vettel was the first man to meet the chequered flag in 2018. Indian Olympic Association (IOA) chooses PV Sindhu as the flag-bearer of the Indian contingent for the opening ceremony of the Gold Coast Commonwealth Games. The opening ceremony will be held on April 4. She won a silver medal at the Rio Olympics two years ago, the Hyderabad-based World No. 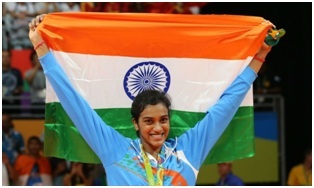 3 Sindhu is one of the favorites to win the badminton women’s singles title in Gold Coast. 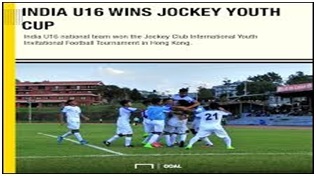 India Under-16 team has won the Jockey Cup International Youth Invitational Football Tournament title. In the final in Hong Kong today, they defeated the hosts by 4-2. This was India’s third consecutive victory in as many days. They had earlier defeated Chinese Taipei, 4-nil and Singapore by 3-1. 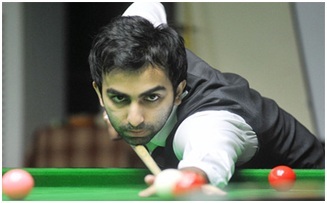 This is Advani’s 11th gold medal at the Asian level of cue sports. India’s Amee Kamani won the Asian Women’s Snooker title by blanking her Thai opponent Siripaporn Nuanthakhamjan 3-0. 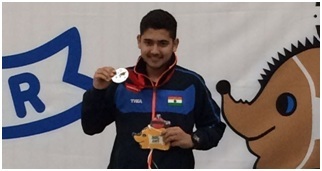 India’s 15-year-old shooter Anish Bhanwala won a gold medal at the ISSF Junior World Cup in the 25 meter rapid fire pistol event in Sydney, Australia. It was India’s third gold at the event. Bhanwala was placed 7th in the same event at the ISSF Senior World Cup. India is now placed second in the overall standings with 15 medals, comprising six gold, three silver and six bronze, behind China and ahead of top shooting nations such as Italy and hosts Australia.